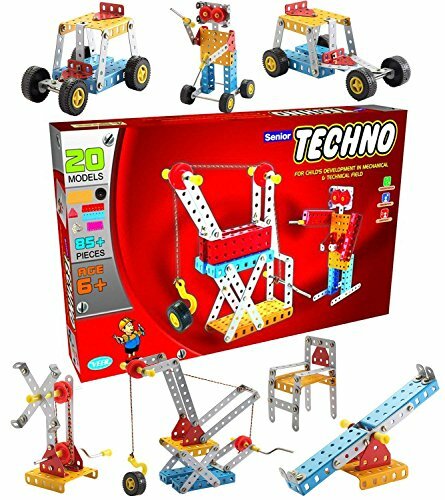 SENIOR TECHNO , CONSTRUCTION SET , Mechanical Kit , BEST BUY , Toys & Games (Mechanical, construction & creative toys ) for KIDS Development In Mechanical And Technical Field, Aged + 6 years . Quick learners, Multi Skilled, Talented & Gifted Kids & adults. This mechanical game for Kids promotes the concept of logical play by enabling observation, reasoning, connections along with making decisions and observing the subsequent outcome,Creative learning, Observation and Reasoning of kids. A perfect gift for kids. If you have any questions about this product by JAGGERMART, contact us by completing and submitting the form below. If you are looking for a specif part number, please include it with your message.